Handy Removals One Bedroom moving kit box bundle was created with the aim of providing you with all essential moving boxes and packing supplies to help make your single bedroom property move as easy as possible! These multi-purpose boxes are ideal size and shape for packing most household items, books, CDs. Our industry standard boxes are heavy duty, double walled and weather/moisture resistant. 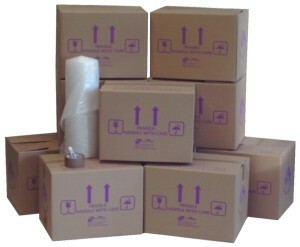 The standard moving boxes arrive flat packed, are easy to assemble, and can be disassembled and reused. These boxes are ideal size and shape for packing clothing and other light and bulky goods.